The LEGO Movie 2: The Second Part reunites the heroes of Bricksburg in an all-new action-packed adventure to save their beloved city. It’s been five years since everything was awesome and the citizens are facing a huge new threat: LEGO DUPLO® invaders from outer space, wrecking everything faster than they can rebuild. The battle to defeat them and restore harmony to the LEGO universe will take Emmet, Lucy, Batman and their friends to far away, unexplored worlds, including a strange galaxy where everything is a musical. It will test their courage, creativity and Master Building skills, and reveal just how special they really are. The film is directed by Mike Mitchell (Trolls) and Trisha Gunn. Phil Lord and Chris Miller, the directors of the first film, are producers and writers on the sequel. The film is also produced by Dan Lin (It, The Lego Ninjago Movie, The Lego Batman Movie) and Roy Lee (It, The Disaster Artist, The Lego Batman Movie). Chris Pratt, Elizabeth Banks, Will Arnett, Nick Offerman, Charlie Day and Alison Brie all reprise their roles and are joined by Tiffany Haddish, Stephanie Beatriz and Arturo Castro. Warner Bros. also released this poster for the film. 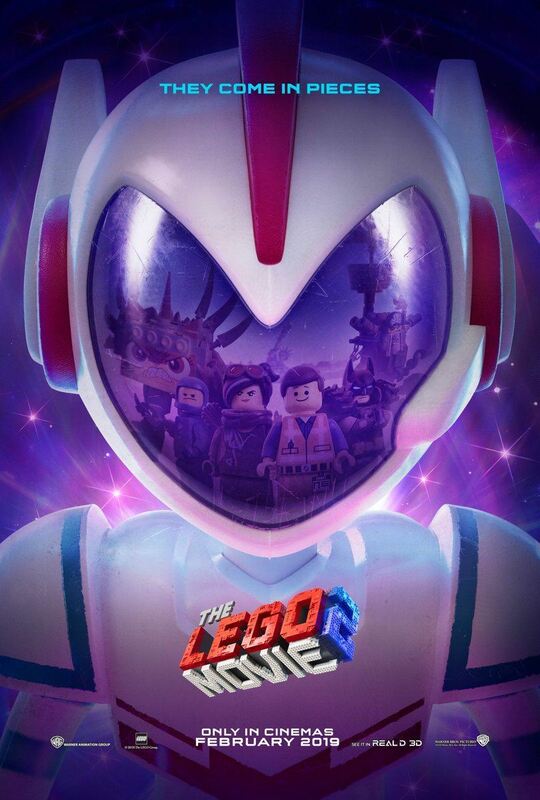 The Lego Movie 2: The Second Part is set to release on February 8th, 2019.